In fiscal 2013 there were 395 million visits to Apple retail stores. In 2012 there were 372 million. The difference is approximately the population of Australia. This was in addition to the population of the US and Canada already passing through. Although this is a fun way to think about total traffic, it does not reflect performance of the stores themselves since new stores are always being opened. 21 new stores in 2013, to be precise. 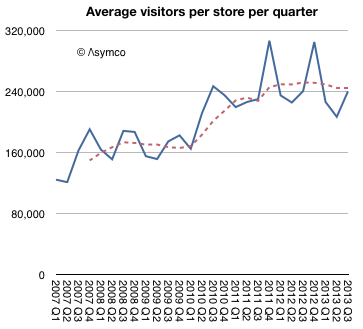 The better benchmark should be the number of visitors per store. 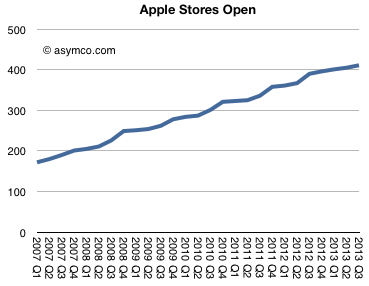 This shows that, except for seasonal peaks, the visitors per store per quarter has been a fairly steady 240k since mid-2010. 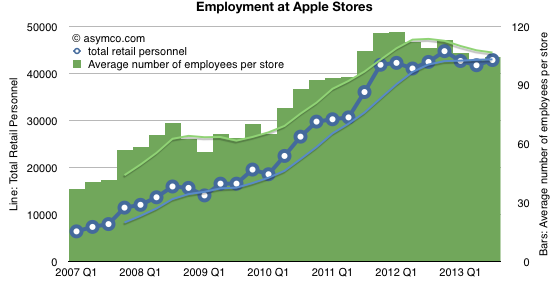 What’s more, this rate was also remarkably steady at around 160k/store/quarter from 2007 to 2010. So what caused this quantum jump1 in traffic? Was it due to a re-design of the stores? Was it a change in product mix? Or was it due to a change in staffing rules? I think we can rule out staffing changes. The data shows that staffing ramps with visitors and there was no specific “quantum” increase in employment (on a per-store basis or otherwise). 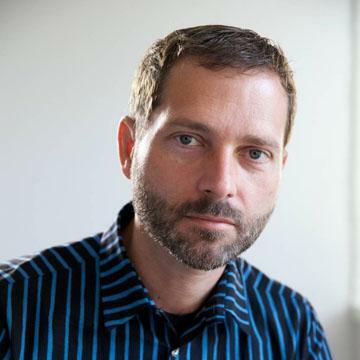 Re-design as a cause has some more merit. On one hand, we have seen bigger stores opening and many more flagship stores. We have also seen specific renovations of existing stores. We have also seen re-designs where the layout was changed to allow for more traffic. The only problem with this as a cause for the quantum leap is that these changes are constantly under-way and have been for some time. It’s hard to point to a specific “big bang” redesign across the board in early 2010 as possibly a cause. That leaves product. Here we have a clear suspect. 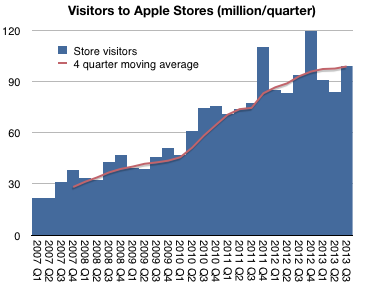 The iPad launched exactly at the point in time when the visitor count leaped. In my opinion this is the best explanation. Let’s remember also the comment from Ron Johnson at the time of the iPad launch. He said that it was as if the stores were designed for a product like the iPad. In other words, the iPad is something that needs to be discovered with a retail experience. You can sense this when you visit the stores and the placement of the iPads within. It all points to a something more profound: that the stores are brand ambassadors. Apple products create a purchase decision by speaking directly to the users. For the type of product Apple makes, that conversation can only happen face-to-face. The place where this meeting happens is the store. ‹ Previous Post How many iOS devices will be produced in the next 12 months? › Next Post Owing how much to how few?